I read Exit West over the course of one day as I travelled to New York City. This story of two people, Nadia and Saeed, forced to travel from their homeland because of civil war contrasted starkly with my own quite luxurious journey. The hardship and deprivation they suffered at times was made bearable by Hamid’s prose. Nadia and Saeed endured their journeys, and so I did also. This is a story that dignifies the lives of migrants seeking a better, peaceful life. The persistent metaphor of this novels is doors. Twice Hamid has his two travelers entering a door as they leave each point of origin and emerging from darkness into their new location. These first two times, neither Nadia or Saeed knows where they are going and so, as they emerge, there is a period of disorientation. Both in Mykonos and then in London, Nadia and Saeed find a way to manage relatively well. For their third journey, Nadia and Saeed choose not only to leave, but they also choose where they are going: Marin County near San Francisco – to the United States. Because they have been successful in their two previous journeys, both are hopeful about their move to the United States. 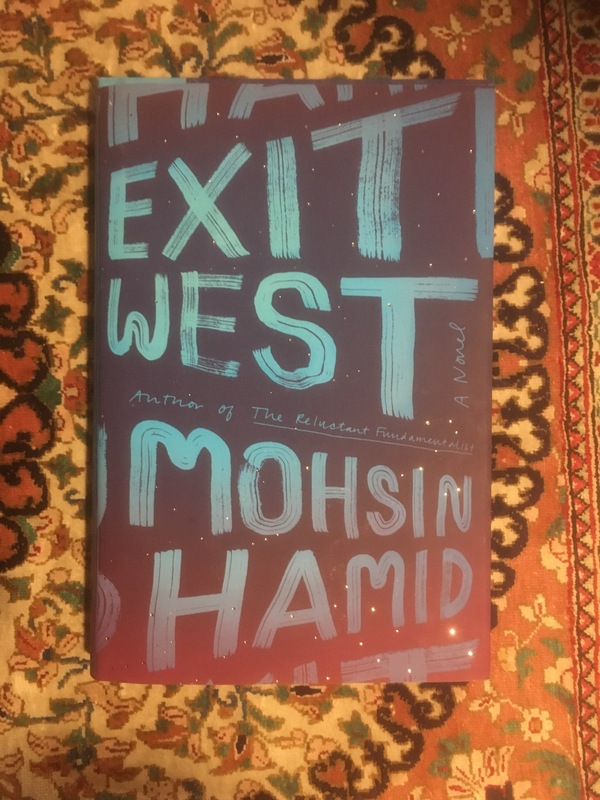 Exit West is a gently told story of migrants and their struggles and a reminder of the great courage it takes to leave the places that are, or become, home. The beautiful writing helped me understand a small part of what migrants face, and I will read all their stories differently henceforth. Definitely sounds like a book worth reading and can open more fully doors in minds not as closely involved with these concerns.